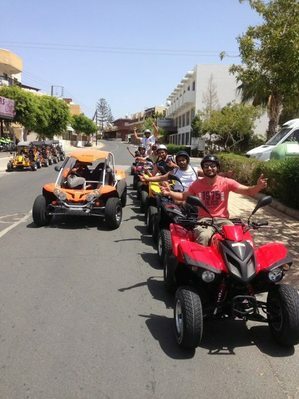 Getting a quad bike, moped or buggy is an Ayia Napa must do! 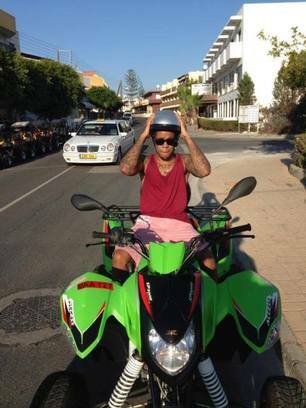 We've put together this guide with everything you need to know about renting bikes, quads or buggies in Ayia Napa. As you all know, the main Ayia Napa square and Nissi Beach are a couple of kilometres apart and walking in the heat of summer is a massive no-no. Do you stay in the town and travel to Nissi Beach every day or you stay at Nissi and travel into the centre of Ayia Napa to party at night? During the long hot days at the height of summer, there's nothing better than feeling the breeze on your face as you nip backwards and forwards to the beach. 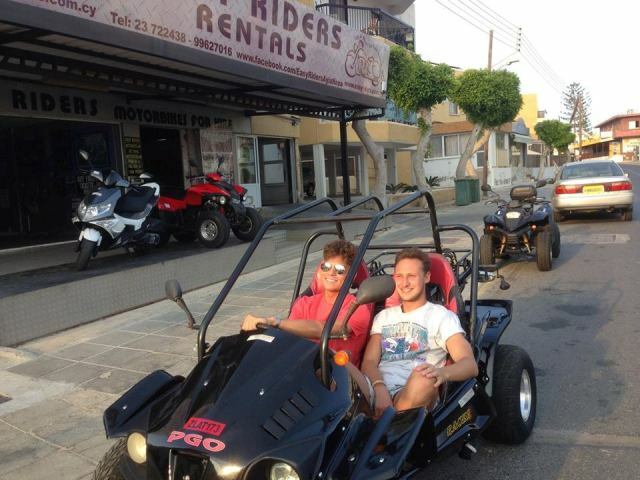 Anyone who is a regular visitor to Ayia Napa will know that if you're going to do Napa properly you'll need to get yourself some wheels. 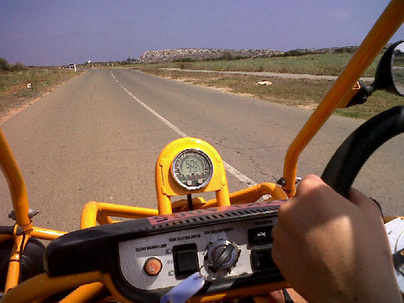 So, we know you're going to use your bike to go to Nissi Beach and all around Ayia Napa but there are plenty of other places worth a visit out of town if you fancy a change. There are other fabulous beaches in Ayia Napa such as Landa and Macronissos and the Waterpark is just at the edge of town. Heading the other way is Cape Greco and the gorgeous pine-fringed Konnos Bay. This can be reached in about 10-15 minutes from Ayia Napa and is definitely worth a visit. Paralimni Village is also just a few miles away and is full of trendy boutiques and smart shops. If you want to stock up on food or alcohol, this is also where to find the big supermarkets, such as Kokkinos, Carrefour and Lidl. Life is short, the road is long.......Hurry!! 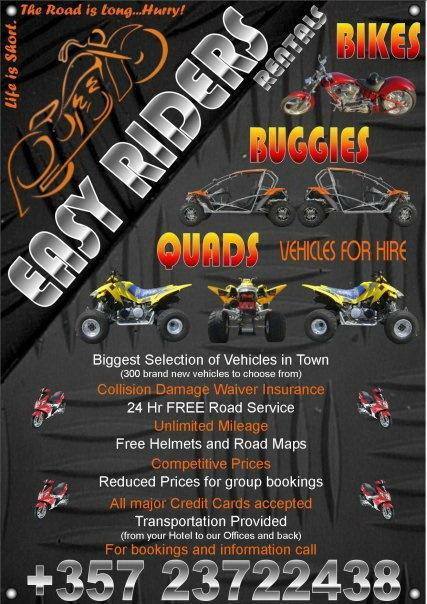 We recommend Easy Riders bike hire for mopeds, quads and buggy rental. 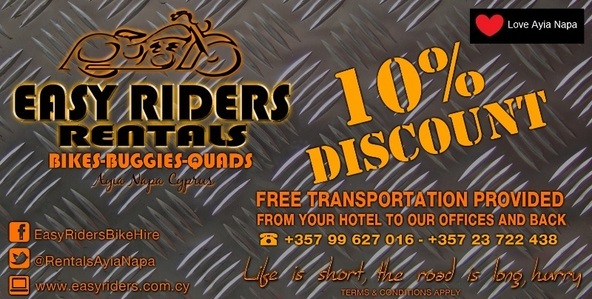 One of Ayia Napa's longest running businesses, Easy Riders has been offering great service and a huge selection of modern well maintained vehicles since 1994. 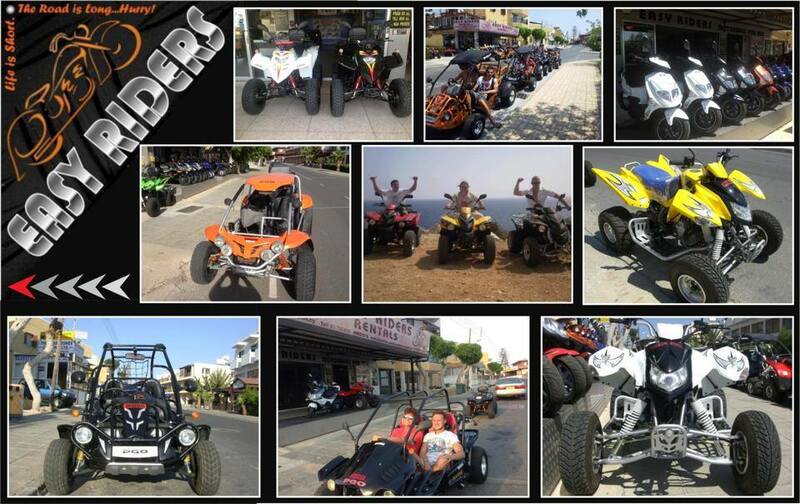 Easy Riders rentals has the biggest selection of bikes,quads and buggies in Ayia Napa with over 300 vehicles to choose from. 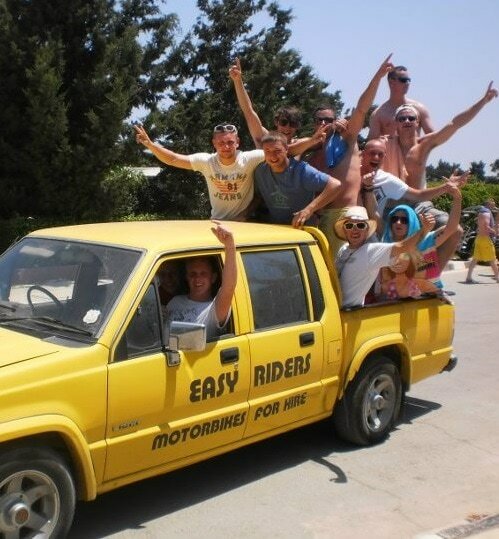 Many of Ayia Napa's more famous visitors rent from Easy Riders, or just stop by to hang out and have a chat! Famous customers include Wiley, Skepta, Joey Essex, Dean Gaffney, Chipmunk, Tempa T, JME, Frisco, Bushkin, Mighty Moe, Luck n Neat, James de Gale and more! Secondly, don't drink and drive. Besides the obvious thing about being a danger to yourself and others, this carries a big fine and the limit is lower than in the UK. The traffic police make plenty of money in the summer in Ayia Napa and every day you will see them around the town stopping person after person and issuing on the spot fines for various offences. All vehicles need to be returned in the same condition they were given to you in. If you've done any damage, don't try to hide it or pretend you didn't as you are dealing with trained mechanics who know their bikes inside out. All bike shop owners and their staff know each other. 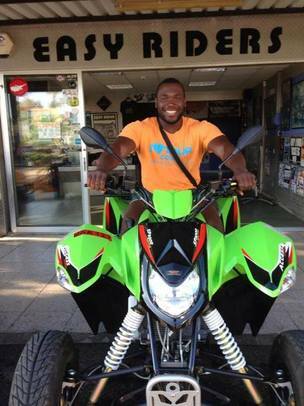 If they spot you doing something you shouldn't such as jumping off sand dunes or doing donuts then it will get back to the owner. Remember you get what you pay for, so newer, well maintained bikes may cost you a little more but you're unlikely to have to push them home when they break down on you. Cheap is not always better value.